Cinemusic: The Works Of John Carpenter | Warped Factor - Words in the Key of Geek. 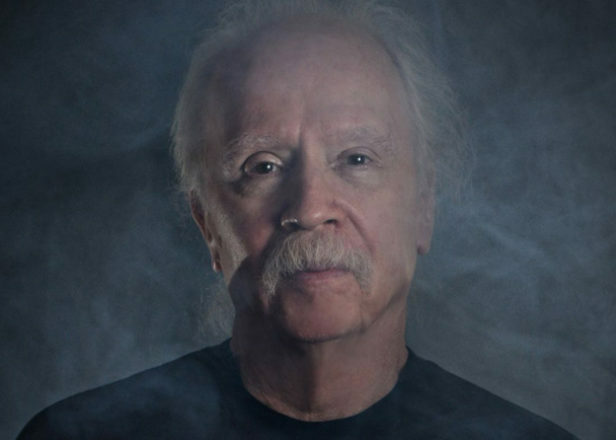 Chris Morley looks back at the works of John Carpenter, Master Of Horror and master composer. Though he's in no way related to Richard or Karen, another Carpenter has carved out quite a niche for himself in the world of film music in addition to his work behind the camera. We are of course referring to John, whose father's own teaching career in the subject proved inspiration enough for him to compose as well as direct - making him the ideal case study as we now look at the blurring of the line between sound & vision. Amazingly he's been combining both roles since his first short feature, 1970's The Resurrection Of Broncho Billy, a Western. Dark Star, released just four years later, represented his full length maiden outing - its score composed using only synthesisers. And in January this year it got a timely reissue! "My decision to use synthesizers was born out of necessity. And because when you’re a student filmmaker or a low-budget filmmaker you really don’t have any budget, so you can’t afford to hire a great composer or an orchestra and a recording studio, so what I decided to do was use a synthesizer because you could sound big with just a keyboard – with multiple tracks – so that’s how it started. Then over the years it evolved into another form of directing, another form of creating." A creative process which would quicken by the time Assault On Precinct 13 came into being. That particular score was written in just three days inspired by Lalo Schfrin's work on Dirty Harry. Things start to get even more interesting in consideration of Halloween, his 1978 slasher later remade under the directorship of one Rob Zombie, who before moving behind the camera was on a vaguely similar path to Carpenter. Zombie was a musician in his own right both as leader of White Zombie & a solo artist. 1982's The Thing found his foot being taken off the musical pedal as all such duties were handed over to Ennio Morricone, though the two collaborated through the universal language of music without actually sharing a common tongue. Carpenter saw Ennio as something of an idol, but he wasn't happy with the finished work. Alan Howarth, one of the men brought in to collaborate on a re-recording, would reveal it wasn't an easy time for the horror auteur. Fast forward to 2015 and after composing music for almost two dozen films, Carpenter released his debut studio album. A second volume followed in 2016, both of them collecting together some of his extra curricular activities produced alongside son Cody & godson Daniel Davies - himself the son of Dave Davies of the Kinks, he of the amp-slashing antics which created the famed riff to You Really Got Me. For Carpenter the pressure was off! "It can be both great and bad to score over images, which is what I’m used to. Here there were no pressures. No actors asking me what they’re supposed to do. No crew waiting. No cutting room to go to. No release pending. It’s just fun. And I couldn’t have a better set-up at my house, where I depended on Cody and Daniel to bring me ideas as we began improvising. The plan was to make my music more complete and fuller, because we had unlimited tracks. I wasn’t dealing with just analogue anymore. It’s a brand new world." A brand new world, but one which could stand within any of his horror soundscapes.